The Eclipse DemoCamp will be sponsored by Fraunhofer FOKUS and the Eclipse Foundation. • The Fraunhofer Institute for Open Communication Systems FOKUS is resarching and developing demand-oriented solutions for partners in industry, research and public administration. If you or your company would like to sponsor the venue, please get in touch with Tom. If you would like to give a demo, please feel free to add it tot he list. Should we receive more submissions than we can fit into the schedule, we will select the ones that we think are most interesting to the audience. AGILE is a 3-year-long project funded by the European Commision for the Horizon 2020 Research and Innovation program. AGILE will build a modular gateway to allow devices to be connected to each other and to the internet. The ultimate goals are to lower down the IoT adoption barriers and to facilitate the creation and deployment of IoT solutions while creating of a strong community engaging developers, SMEs and entrepreneurs. For this purpose AGILE is organizing an artistic event, scheduled for the summer of 2017, to involve the public at large with IoT and its possibilities as well as to involve the community of artists and developers of Berlin with this technology and with each other. 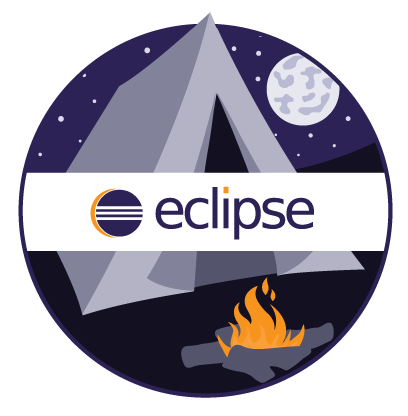 This demo of Oomph's Eclipse Installer shows how to install preconfigured Eclipse IDEs and how to quickly customize them to your specific needs. This demo shows a model-driven test automation architecture based on EMF and supporting the principles of the Model-Driven Architecture (MDA). It was eventually applied on SOA systems but is in general independent of any target technology of the system under test. Xtend is a general purpose programming language developed as an Eclipse Project. It transpiles to Java source code and is fully interoperable (both ways) with Java. The Xtend language features simplify coding by getting rid of many verbosities of the Java programming language, but also allow for some interesting uses of the features. This demo will show some, maybe surprising, ways how the Xtend language features can be used. Today, developers can choose from a wide array of technology to develop and run their particular IoT solution, usually based on a given set of devices specific to the particular application domain at hand. I want to tell you why I consider the usual approach taken "sophisticated tinkering" and why we need to (and can) do a better job at providing an open source alternative to the commercial offerings from the big cloud players in order to not give away the most important control point in an IoT solution. As part of the talk I will introduce Eclipse Hono an Eclipse IoT project aiming at providing uniform (remote) service interfaces for connecting large numbers of IoT devices to a (cloud) back end. It specifically supports scalable and secure data ingestion as well as command & control message exchange patterns and provides interfaces for provisioning & managing device identity and access control rules. This page was last modified 03:48, 16 November 2016 by Robert Hilbrich. Based on work by Veselin Markov, Tom Ritter and Kai Hudalla and others.